Original article: Reversible Conformational Conversion of α-Synuclein into Toxic Assemblies by Glucosylceramide, Neuron: December 20, 2017. Glycosphingolipids (GSLs) are a type of lipid that builds up in Gaucher disease, a genetic condition that renders the body unable to appropriately break down this lipid. GSLs turn alpha-synuclein into the toxic forms that harm neurons in Parkinson’s. In cultured neurons, a drug that lowers GSL levels was shown to reverse harmful structural changes in alpha-synuclein, improving dopamine neuron survival. This work makes a significant contribution to a body of research that identifies GSL reduction as a potential target for disease modifying efforts in Parkinson’s. The build-up of abnormally folded alpha-synuclein is a known major culprit in Parkinson’s. Understanding what causes it to change shape and clump together is therefore a key step in stopping the disease. This work focuses on the build-up of GSLs as a significant trigger. GSLs are handled within cells by the glucocerebrosidase (GCase) enzyme. Importantly, mutations in its gene, GBA1, are seen in Gaucher disease as well as a familial form of Parkinson’s. Gaucher disease is a condition caused by excessive GSL build-up in many different types of cells, not just neurons, with a broad range of symptoms. To study the link between GBA1, GSLs and alpha-synuclein, these researchers used a variety of cell-free as well as stem cell methods. First, they chemically inhibited the action of the GCase enzyme mimicking Gaucher disease, and found that alpha-synuclein turned into its toxic form and reduced cell survival by 50%. Since GCase, which handles these lipids appropriately was inhibited, GSLs built up within cells. This then offered a window into the precise mechanism and steps of alpha-synuclein misfolding. Not only did researchers succeed in understanding the role of a specific GSL (glucosylceramide – GluCer) in this process, but they also were able to reverse it by reducing GluCer with a drug used to treat type I Gaucher disease. This in turn reduced the amount of alpha-synuclein that misfolded into its toxic form. Importantly, the same results were seen in neurons without a GBA1 mutation, indicating that reducing GSLs as a therapeutic strategy could apply to more forms of Parkinson’s than just this rare genetic variant. Phase 2 trials assessing the safety and efficacy of other agents targeting GCase are currently underway (see below). 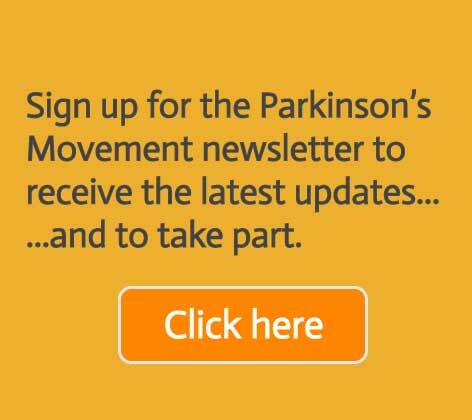 The case for Eliglustat (the drug used in the study) as a potential disease modifying agent in Parkinson’s merits consideration, but its safety and tolerability in people with Parkinson’s would first have to be firmly established.